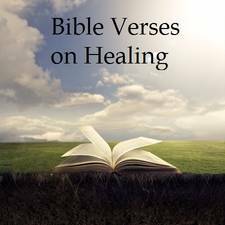 Here are some scriptures on Healing. By meditating on and declaring these daily your faith will be increased and we know that faith comes by hearing and hearing by the word of God. Here is a Prayer of Faith for you as well. Luke 5:17(NLT)One day while Jesus was teaching, some Pharisees and teachers of religious law were sitting nearby. (It seemed that these men showed up from every village in all Galilee and Judea, as well as from Jerusalem.) And the Lord’s healing power was strongly with Jesus. Matthew 8:2-3 (NLT) Suddenly, a man with leprosy approached him and knelt before him. “Lord,” the man said, “if you are willing, you can heal me and make me clean.”Jesus reached out and touched him. “I am willing,” he said. “Be healed!” And instantly the leprosy disappeared. Hebrews 13:8 (NLT)Jesus Christ is the same yesterday, today, and forever. James 5:14-15 (NLT)Are any of you sick? You should call for the elders of the church to come and pray over you, anointing you with oil in the name of the Lord. Such a prayer offered in faith will heal the sick, and the Lord will make you well. And if you have committed any sins, you will be forgiven.Such a prayer offered in faith will heal the sick, and the Lord will make you well. And if you have committed any sins, you will be forgiven. James 5:16 (NLT)Confess your sins to each other and pray for each other so that you may be healed. 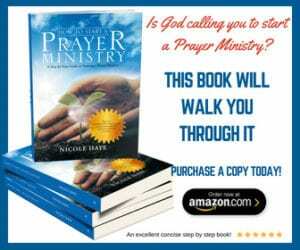 The earnest prayer of a righteous person has great power and produces wonderful results. 3 John 1:2 (NLT)Dear friend, I hope all is well with you and that you are as healthy in body as you are strong in spirit. Psalm 107:19-21 (NLT)“Lord, help!” they cried in their trouble,and he saved them from their distress.He sent out his word and healed them, snatching them from the door of death. Let them praise the Lord for his great love and for the wonderful things he has done for them. John 10:10 (NLT)The thief’s purpose is to steal and kill and destroy. My purpose is to give them a rich and satisfying life. Exodus 23:25 (NLT) “You must serve only the Lord your God. If you do, I will bless you with food and water, and I will protect you from illness. Deuteronomy 7:14-15 (NLT)You will be blessed above all the nations of the earth. None of your men or women will be childless, and all your livestock will bear young. And the Lord will protect you from all sickness. He will not let you suffer from the terrible diseases you knew in Egypt, but he will inflict them on all your enemies! Luke 10:19 (NLT)Look, I have given you authority over all the power of the enemy, and you can walk among snakes and scorpions and crush them. Nothing will injure you. Matthew 9:35 (NLT)Jesus traveled through all the towns and villages of that area, teaching in the synagogues and announcing the Good News about the Kingdom. And he healed every kind of disease and illness. Isaiah 53:5 (NLT) But he was pierced for our rebellion, crushed for our sins. He was beaten so we could be whole. He was whipped so we could be healed. Psalm 147:3 (NLT) He heals the brokenhearted and bandages their wounds. Jeremiah 17:14 (NLT)O Lord, if you heal me, I will be truly healed; if you save me, I will be truly saved.My praises are for you alone! Proverbs 4:20-22 (NLT)My child, pay attention to what I say.Listen carefully to my words. Don’t lose sight of them. Let them penetrate deep into your heart, for they bring life to those who find them,and healing to their whole body. Psalm 30:2 (NLT)O Lord my God, I cried to you for help, and you restored my health. forgives all my sins and heals all my diseases. He redeems me from death and crowns me with love and tender mercies. He fills my life with good things. My youth is renewed like the eagle’s! Psalm 91:3-4 (NLT)For he will rescue you from every trap and protect you from deadly disease.He will cover you with his feathers. He will shelter you with his wings. His faithful promises are your armor and protection. Please pray for my little Sister as she is battling bone cancer in the name of Jesus. Her name is Shauna, she lives in Denver and just had the news this morning her Pet scan showed 3 more tumors and one is softball size in her hip. She will begin radiation treatment once again immediately. Thank you and God bless you all who carry this in your hearts . please pray 4 me I’m a disabled vet with ptsd n tbi from gunshot wound to head in combat. recently separated from my girlfriend its been very hard. she was my caregiver. need peace n someone to help care for me.